While I’m pretty sure (downright positive) I say this in every one of these posts, I like repeating: it’s great to see comics go back for multiple printings. That’s the case with Image Comics’ Assassin Nation #1, a series with one of the best concepts I’ve seen in a while. 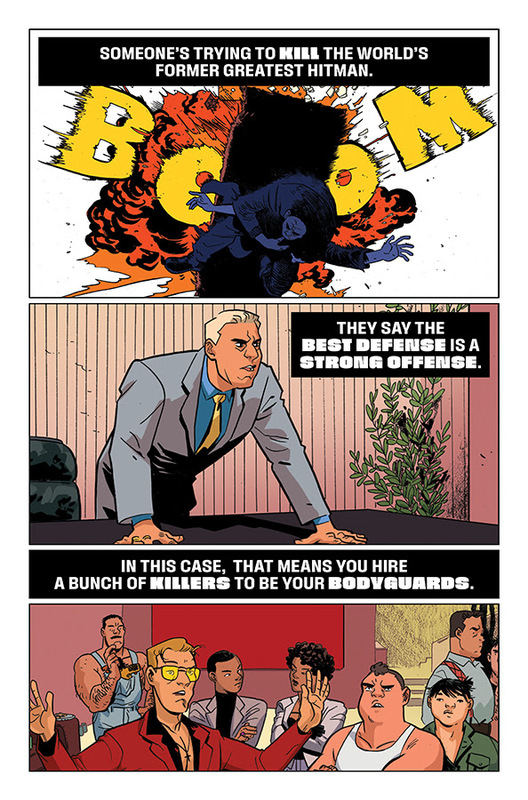 I’ve yet to read the first issue, but the idea of the world’s greatest hitman hiring all of the assassins to serve as his bodyguards is just amazing, and likely why fans picked up the comic in droves. Check out the details below, along with a video showcasing series creators Erica Henderson, Kyle Starks, and Deron Bennett. PORTLAND, OR, 03/21/2019 — Two-time Eisner Award winner Erica Henderson (The Unbeatable Squirrel Girl, Jughead) and Eisner-nominated writer Kyle Starks (Rick and Morty, Sexcastle) hit their mark with the launch of Assassin Nation last week and delivered fans a side-splitting, mega-violent action-comedy. In order to keep up with the growing customer demand, Image/Skybound Entertainment's Assassin Nation #1 is already slated to go back to print. Assassin Nation #1 second printing will hit comic shops April 17.